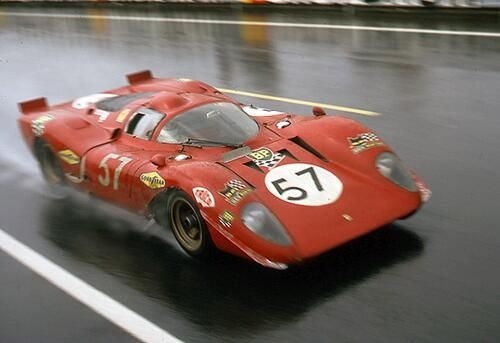 Enzo Ferrari was in a spat with the Italian governing body at the time over its refusal, Ferrari having failed to build the minimum number of cars, to homologate the sports/racer Ferrari 250LM as a Sportscar. 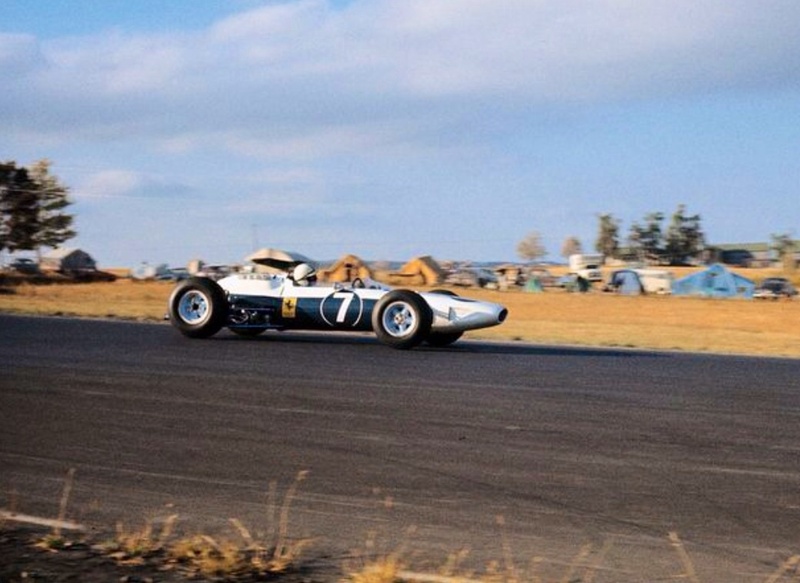 The result of which forced entrants to race it as a Prototype, a category in which it was not competitive and not designed for; putting aside the lucky, outright 250LM Le Mans win for Masten Gregory and Jochen Rindt in 1965! Not that the Italian autocrat was going to let principle, as he saw it, get in the way of practicality. 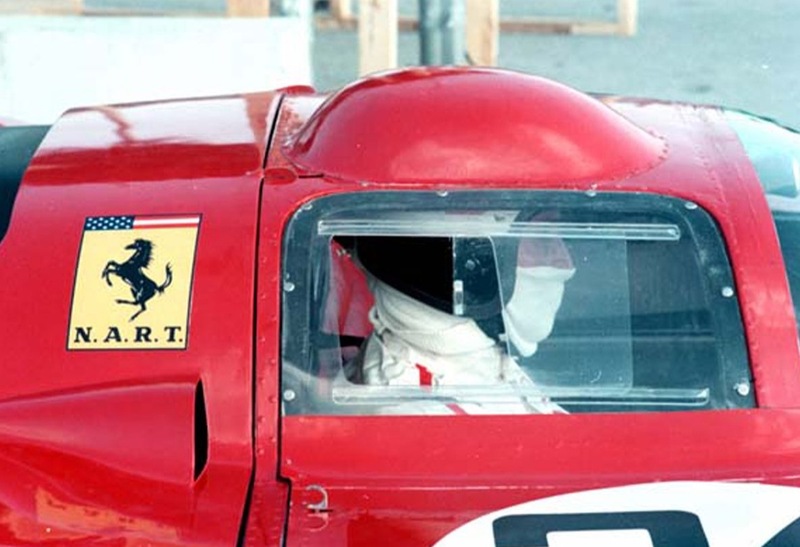 There were Grand Prix World Championships to win so rather than race in traditional racing red he ‘relinquished his entrants licence’, the cars, works cars in every way, shape and form being entered by Ferrari’s concessionaire in the US, Luigi Chinetti’s N.A.R.T at both the final two 1964 championship rounds at Watkins Glen, New York State and in Mexico City. 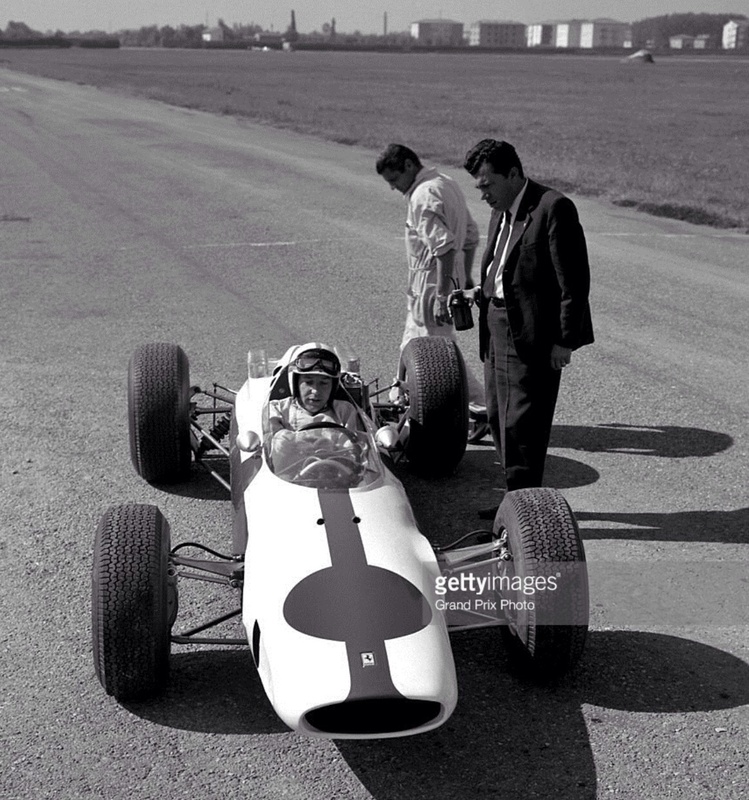 Surtees 2nd placings in both races gave him the Drivers title and Ferrari the Manufacturers from Graham Hill’s BRM P261 by 9 points. 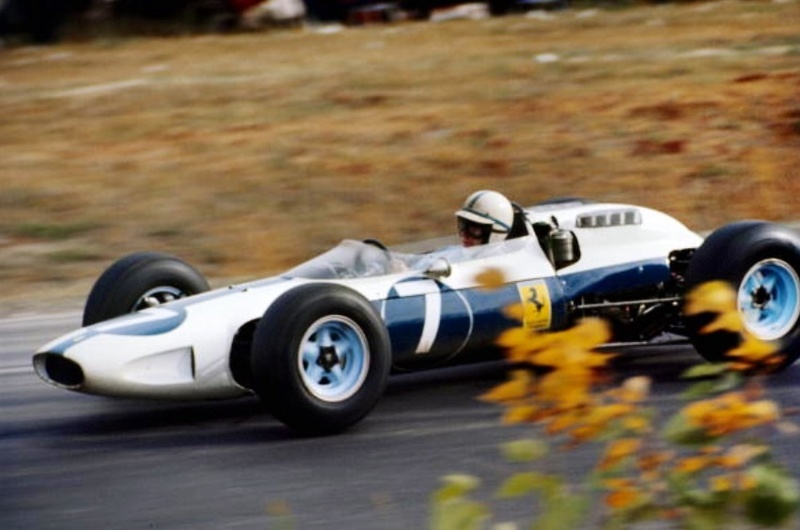 Motorsports governing body introduced new sports car rules for 1968; Group 4 Sports Cars with a capacity limit of 5 litres and a minimum production of 50 cars, and Group 6 Prototypes with a maximum of 3 litres. 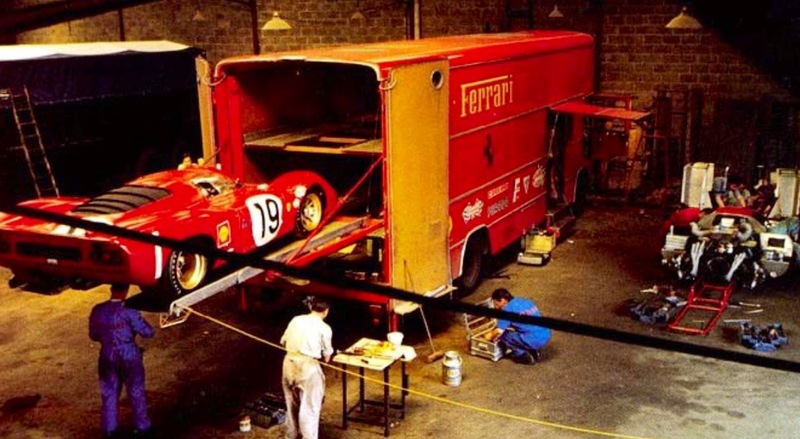 In effect the CSI were making obsolete the ‘unlimited cars’ being built by Ford and Ferrari, ( the 7 litre ‘pushrod’ Ford MkIV, 4 litre ‘racing engine’ Ferrari P4) which they considered were getting too fast for the circuits of the time. 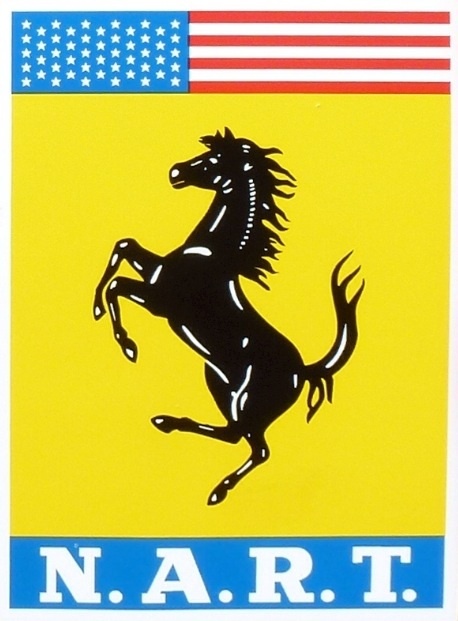 Ferrari, in time honored fashion didn’t race in 1968 in protest at this sudden rule change but returned in 1969 with the Group 6 312P, again in time honored fashion using many parts he had ‘on the shelf ‘ from other cars. The chassis used was a downsized version of their 1968 Can Am challenger the 612P…It was a semi-monocoque, a spacefarme reinforced by aluminium sheet. 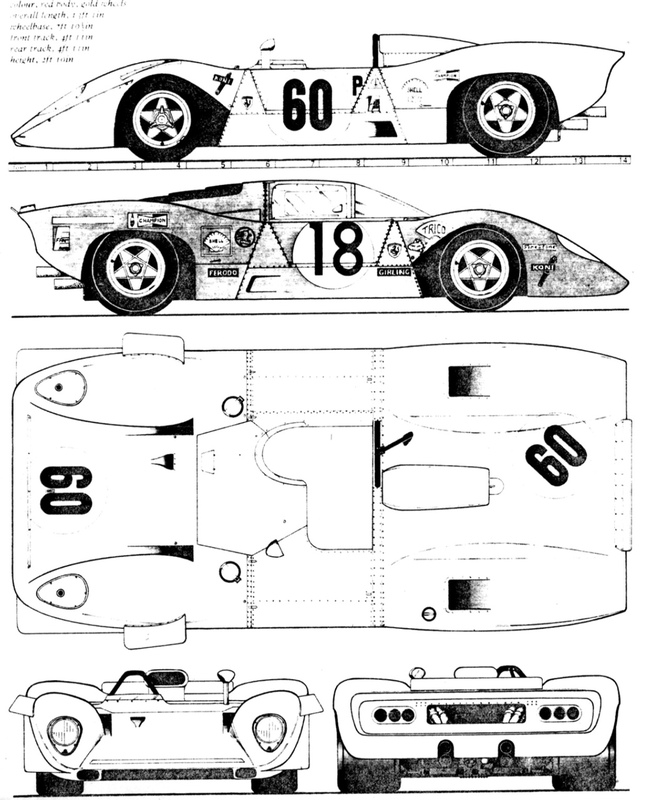 The first cars were built with high downforce Spyder bodywork, but later cars were built or re-bodied for Le Mans as stunning low drag Coupes. Aluminium semi-monocoque chassis. Double wisbones, coil springs, Koni shocks at front. Single top link, lower inverted wishbone, twin radius rods, coil springs and Koni shocks at rear. Adjustable sway bars front and rear. Rack & pinion steering. Ventilated discs all round. 680 Kg. 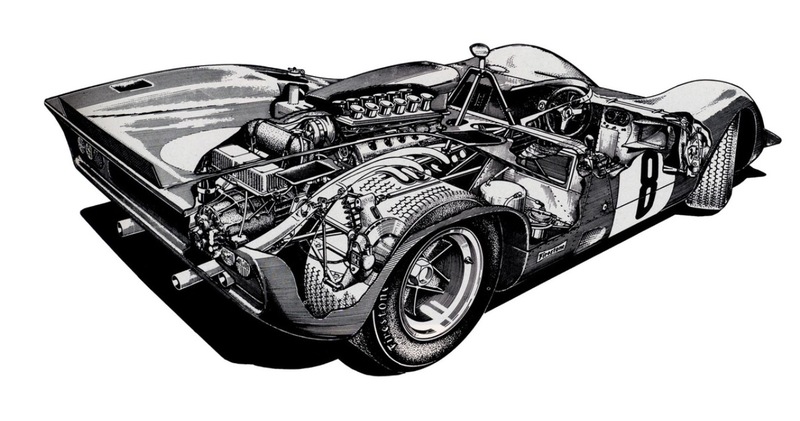 The 3 litre V12 was based on the highly successful old sports car engine albeit with 4 valve heads and Lucas fuel injection…Ferrari claimed 420 BHP, all of which hit the road through a 5 speed transaxle. 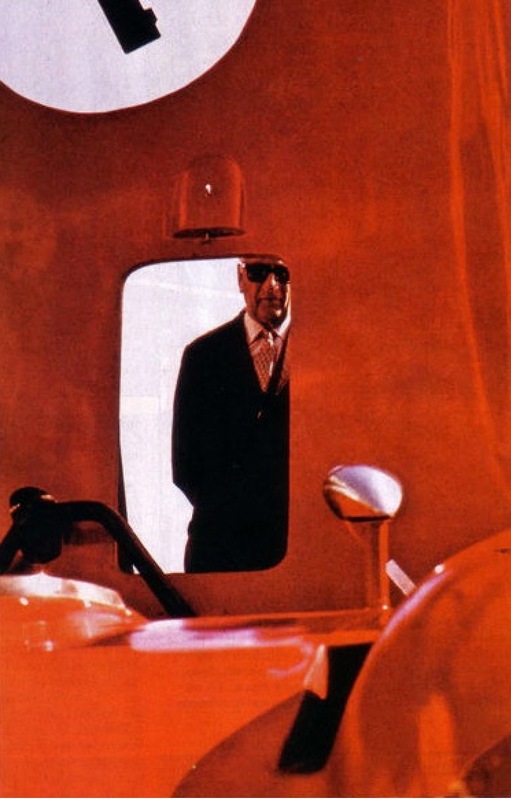 Chassis ‘0868’ was shown to the public at the Hotel Fini in Modena in December 1968, which is probably where this unattributed shot of Enzo Ferrari with the car was taken. 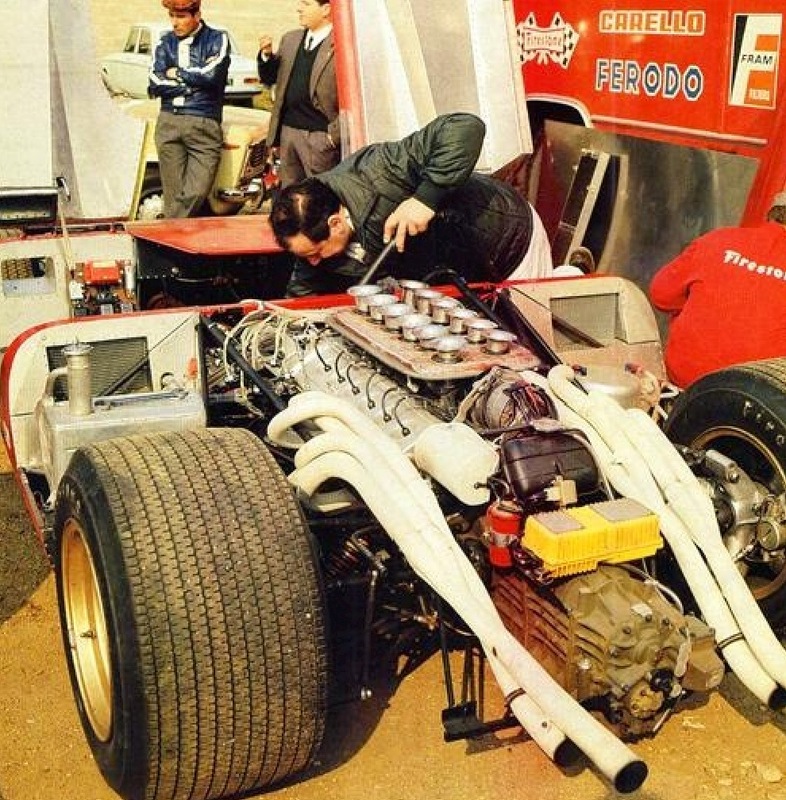 From the outset Ferraris’ sports car plans in 1969 were limited as the development of the 3 litre ‘Flat 12′ engine for F1 in 1970 was Technical Director, Mauro Forghieris’ main project. 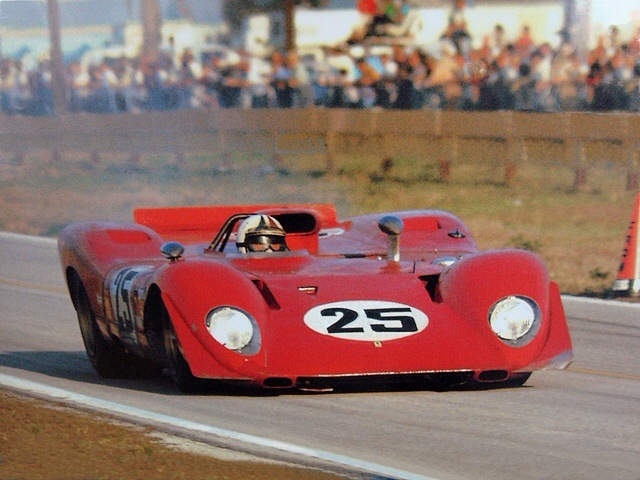 The first car was damaged in testing, but repaired and put on pole at Sebring by Mario Andretti, the car finishing second co-driven by Chris Amon despite overheating after a collision with a slower car. 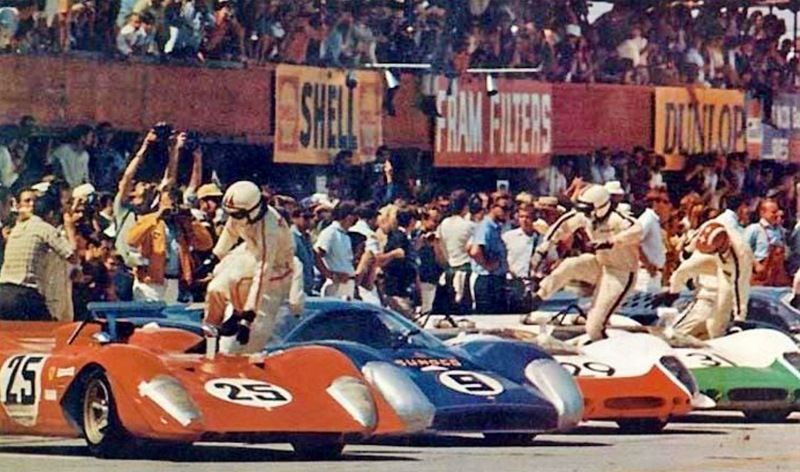 Chris Amon leaps aboard the 312P he shared with Mario Andretti at Sebring 1969. 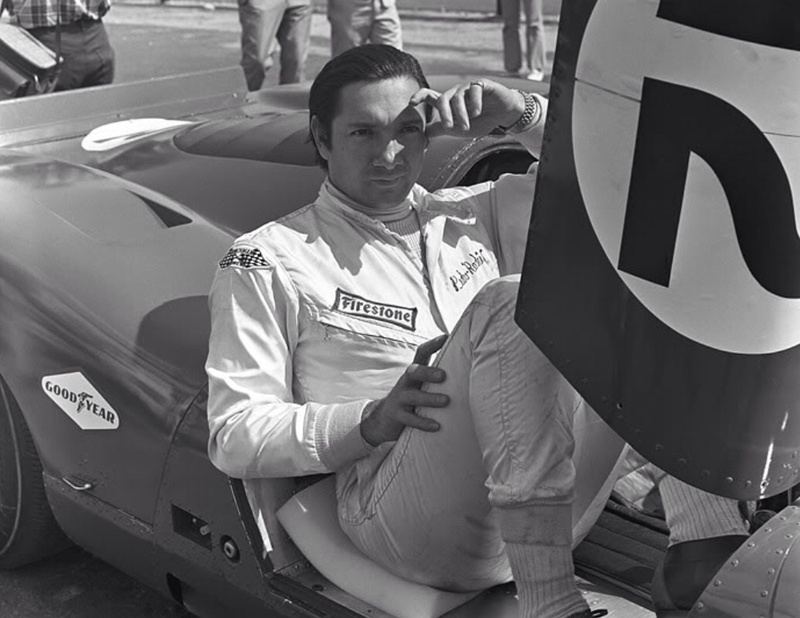 The 312P’s were fast at Monza filling the first 2 grid positions but failed to finish with tyre problems, the Firestones not coping with the rigours of the Monza banking. 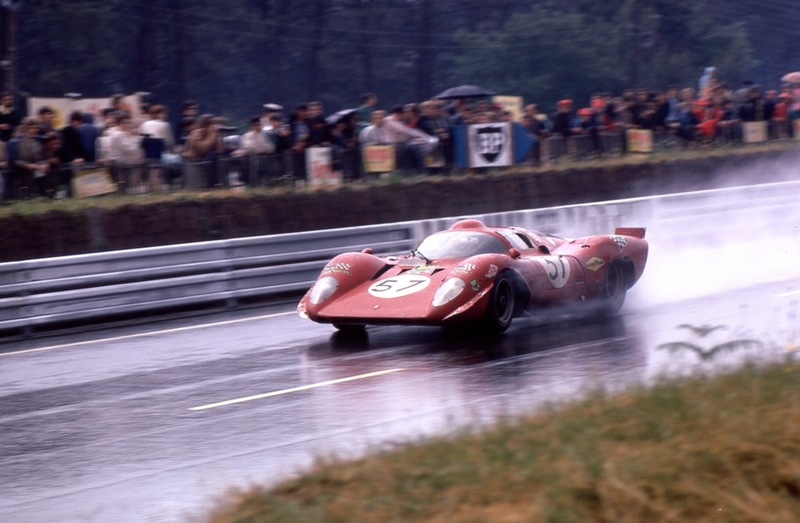 Pedro Rodriguez, Nurburgring 1000Km 1969. The 917 was on pole at Spa, but Amon proved the 312P’s competitiveness again, he broke the lap record at The Nurburgring. 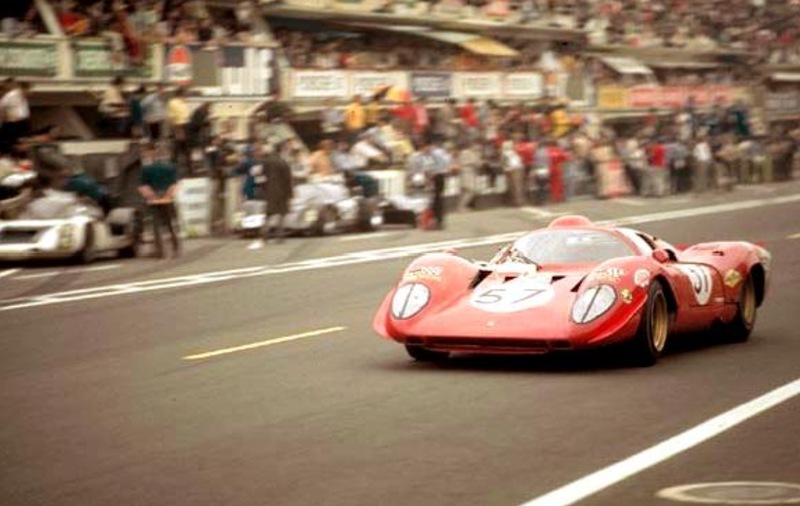 At Le Mans the two cars entered were fitted with gorgeous Coupe bodies formed around shortened 206SP Dino windscreens. The 917 was on the Le Mans pole… but few believed they would last the distance, Amons 312P was damaged by debris from the fatal accident which befell the John Woolfe 917 on lap 1, the other car suffering gearbox failure after a retaining nut vibrated loose several times. Jacky Ickx and Jackie Oliver won the race in Ford GT40 ‘1075’ the same chassis victorious the year before. 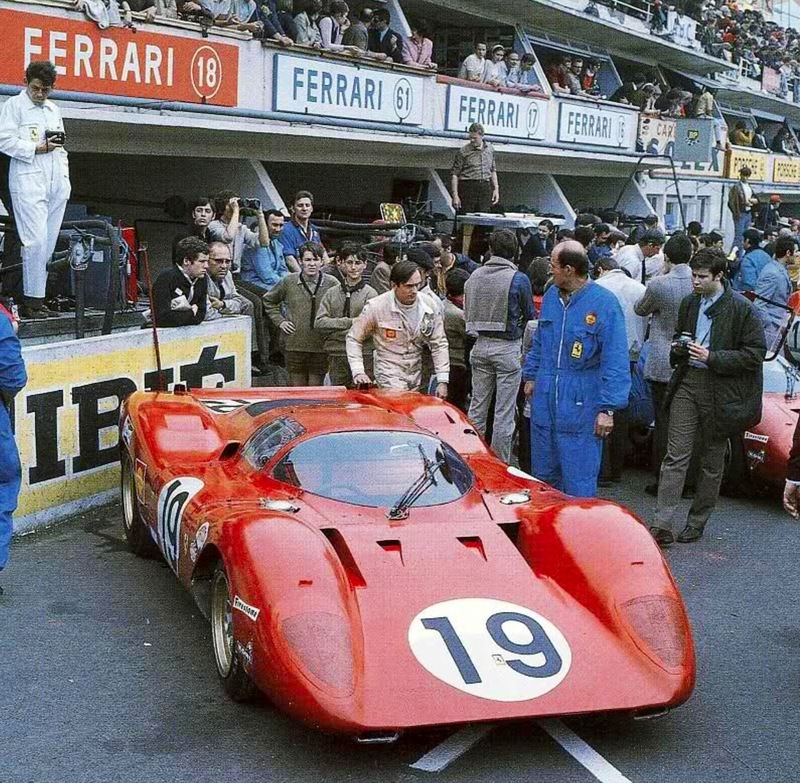 The arrival of the 917 was a game changer, Ferrari responded with some of the Lire invested in his business by Fiat, in building 25 512S 5 litre cars to go head to head with Porsche in what many say was the greatest 2 years of sports car racing ever, 1970 and 1971. 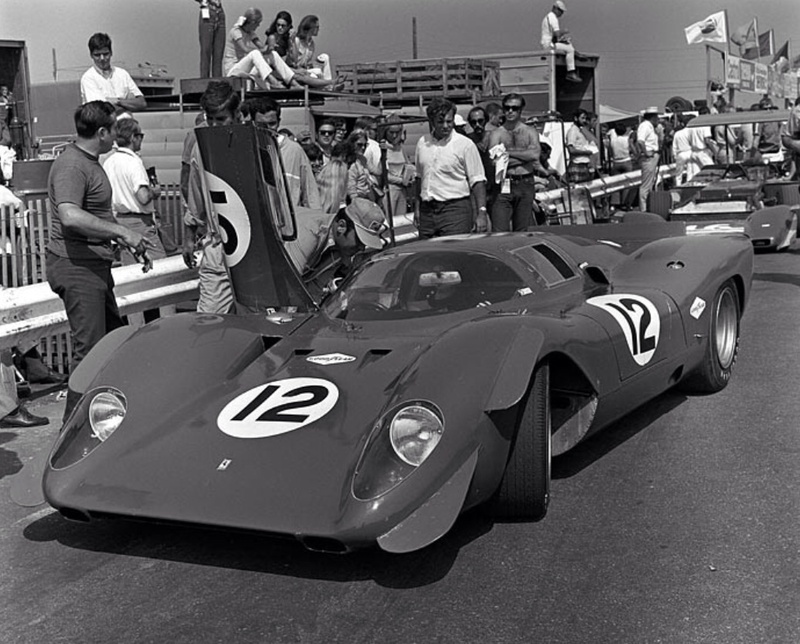 The two remaining 312P’s were sold to Luigi Chinetti’s North American Racing Team at the end of 1969, the cars scoring class victories in major races such as Daytona, and Sebring and also racing at Le Mans in 1970 where Tony Adamowicz, and Chuck Parsons were non-classified but tenth. The other car was taken as a spare and unraced. 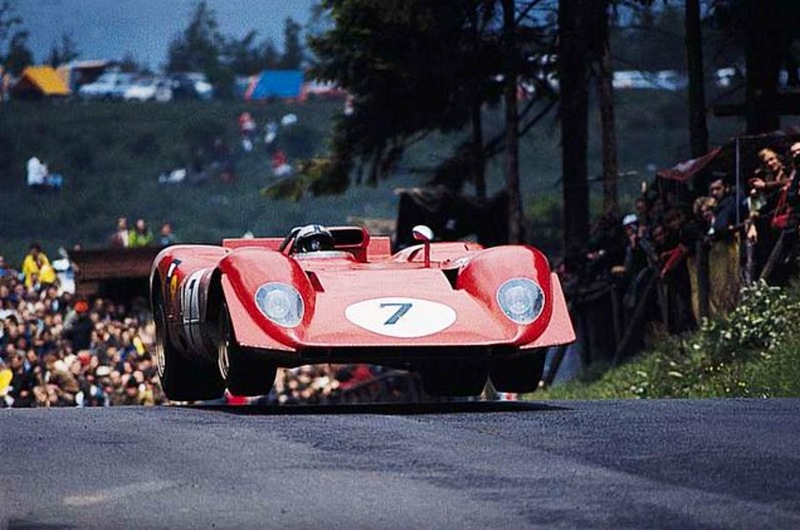 The 312P has only a small part in Ferrari racing history but the factory learned valuable lessons from the program when it next raced a prototype, the 3 litre 312PB in 1971, this car using a variant of the F1 ‘boxer’ engine, the 312PB the dominant and championship winning sports car of 1972.